The 2019 Subaru Crosstrek Hybrid has plenty to offer its drivers. This year, the 2019 Crosstrek comes standard with all-wheel drive, which comes in handy for harsh weather conditions. In addition to this feature, the Crosstrek is a passionate hatchback that gives drivers superb reliability and great fuel economy. It is currently an exciting time for everyone here at Flatirons Subaru Boulder. Our Flatirons Subaru Boulder staff members are excited because the 2019 Crosstrek Hybrid is now available for purchase at our dealership. If you are interested in purchasing the 2019 Crosstrek near Longmont Thornton Denver, please contact Flatirons Subaru in Boulder Colorado. The exterior of the Crosstrek is practical and conservative. The grille on the Crosstrek has a discrete appearance, which is perfect for drivers who adore the modest look. The Crosstrek Hybrid comes standard who roof rails, 17-inch wheels, and a power liftgate. The power liftgate has received many compliments from the public. Drivers find it to be very useful. The Crosstrek Hybrid has a towing capacity of 1,000 pounds. This Crosstrek is great for towing dainty items. 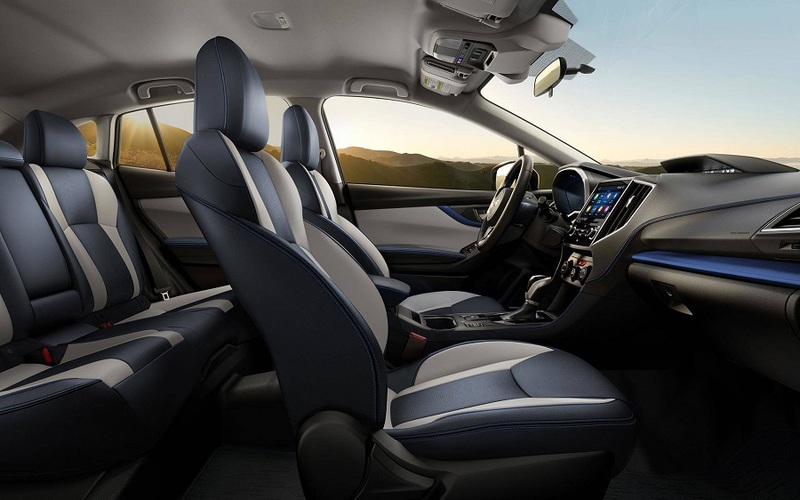 The interior of the 2019 Crosstrek Hybrid is sophisticated and fashionable. Technology lovers will certainly enjoy how modern the interior of the Crosstrek is. 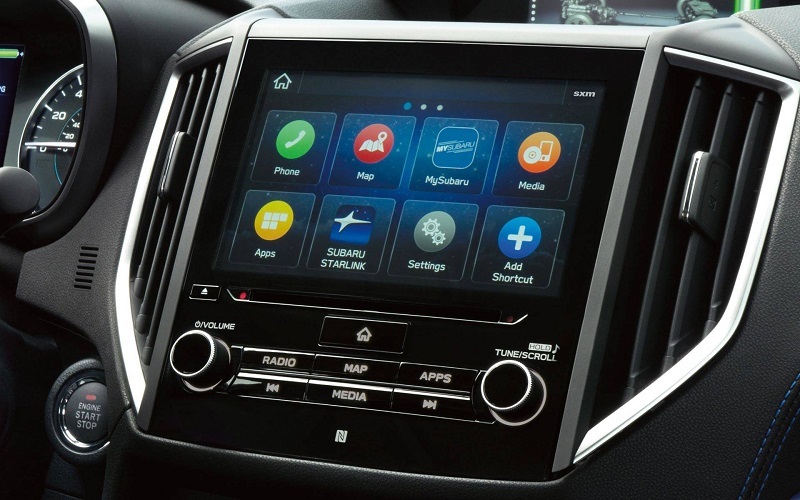 The Crosstrek Hybrid comes standard with a 6.5-inch touch screen infotainment system. Even though the infotainment system is touch screen, it is very user-friendly. The Crosstrek does come standard with a cloth interior; however, the Crosstrek provides a leather interior option as well. The leather for the Crosstrek Hybrid is very comfortable and soft. The Crosstrek Hybrid is perfect for family vacations. The vehicle can comfortably seat five 6-foot passengers effortlessly. In addition, the Crosstrek provides drivers with 50 cubic feet of cargo space. At Flatirons Subaru Boulder, our goal is to provide drivers with vehicles that are easy to maintain. The all new Subaru Crosstrek Hybrid is a hatchback vehicle that is very manageable. Flatirons Subaru advise all drivers to follow the manufacture's recommendations for any maintenance needed on the vehicle. When it is time for your Crosstrek to be serviced, please bring your vehicle to Flatirons Subaru near Longmont Thornton Denver. Our certified mechanics will promptly service your vehicle. We enjoy satisfying our customers. Your Subaru Crosstrek Hybrid will come standard with both a powertrain and bumper-to-bumper warranty. The powertrain warranty will cover all powertrain repairs that may be needed on the Crosstrek Hybrid within the first 5 years or 60,000 miles of the vehicle's lifespan. The bumper-to-bumper warranty will cover all mechanical repairs that may be needed on the Crosstrek hybrid within the first 3 years or 36,000 miles of the vehicle's lifespan. This year, the 2019 Subaru Crosstrek Hybrid has one powertrain available to its drivers. All Crosstrek Hybrid models will have a 2.0-liter flat 4-cylinder engine. This engine has a horsepower of 152 at 6,000 rpm. The torque on this engine is 145 lb-ft at 4,000 rpm. At Flatirons Subaru in Boulder Colorado, safety is our priority. Our dealership near Longmont Thornton Denver has been serving customers for years now. Customers in Boulder Colorado respects our dealership because we put safety first. The 2019 Crosstrek Hybrid received a 5/5 on its crash safety test that was conducted by the National Highway Traffic Safety Administration. To enhance the safety of our drivers the 2019 Crosstrek Hybrid comes with an array of safety add-ons. Safety add-ons for the Crosstrek Hybrid include a smart rearview mirror, a backup camera, a front view monitor, blind spot detection, cross traffic alerts, lance change assist, and an emergency braking system. The Crosstrek also comes standard with upper, mid, and lower body airbag protection. 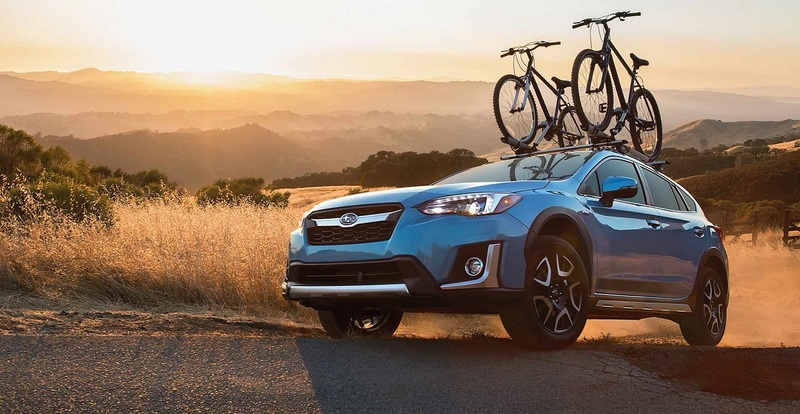 Overall, the 2019 Crosstrek Hybrid is an exceptional safe vehicle. Flatirons Subaru values our past, current, and prospective customers. At Flatirons, we frequently have specials available to our customers. We provide specials to our customers to show them our appreciation. Please give our dealership a call. Our friendly staff members will tell you about specials that we have available. If you have any general questions regarding the all new Subaru Crosstrek Hybrid, please contact our dealership. Our staff members are always available to assist! Why Buy 2019 Crosstrek Hybrid? Why buy the 2019 Crosstrek Hybrid? The Subaru Crosstrek Hybrid is a reliable hatchback that is very affordable. This year, Subaru dedicated endless time to create an epic interior for the Crosstrek. The interior of the Crosstrek comes standard with an array of notable features. Some of these features include a 5-speaker audio system, plush comfortable seating, and a plenty of cargo space. In addition, the 2019 Crosstrek Hybrid has several safety features that will keep drivers of the Crosstrek safe. 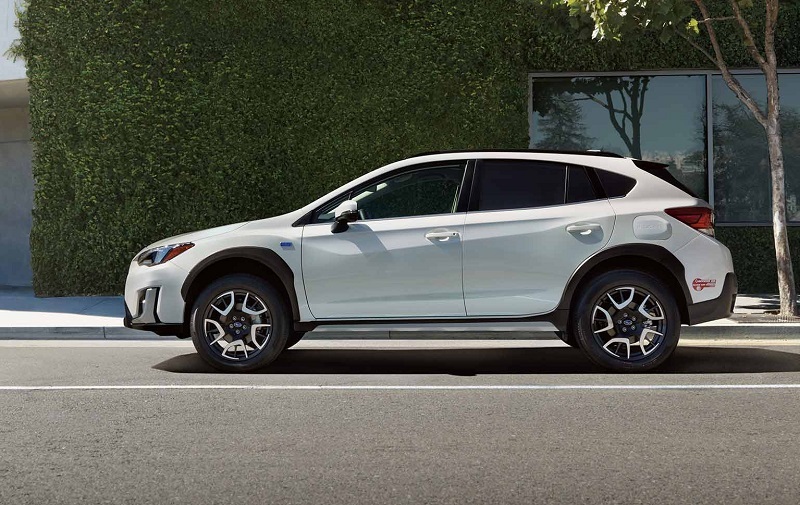 If you are interested in the 2019 Crosstrek Hybrid, please give our dealership a call. We will allow you to test drive the all new Subaru Crosstrek Hybrid, as long as you have a valid driver's license.